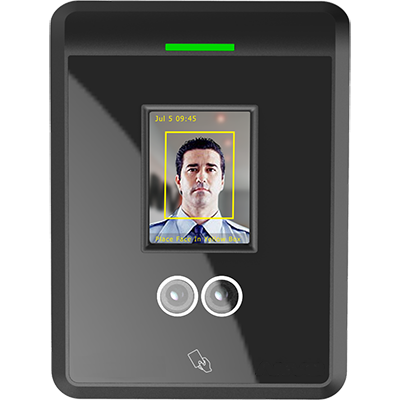 ASP is currently evaluating a new time and attendance terminal that uses facial recognition. Stay tuned for more information. This new terminal is a breakthrough in innovation. The core algorithm and powerful hardware platform ensures that facial recognition occurs in less than a second. The advanced infrared light source enables the terminal to operate even in total darkness. This Facial Recogition terminal works for any user regardless of complexion, facial expression, hairstyle, and facial hair.